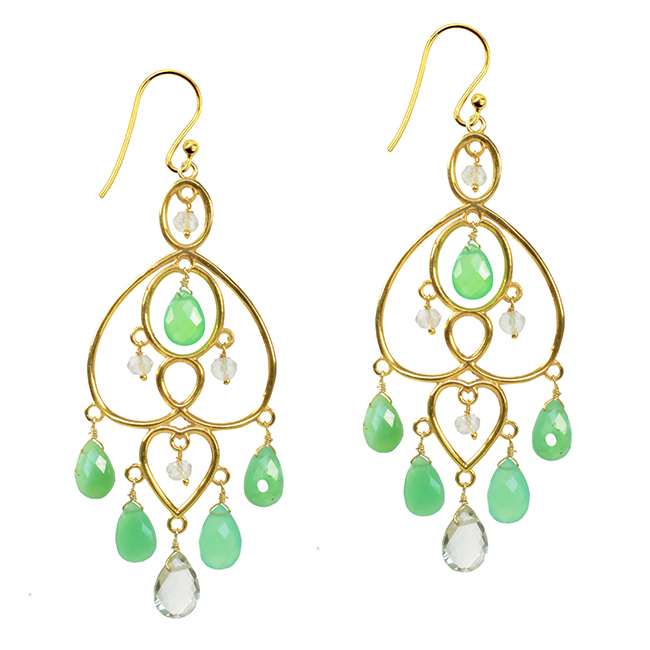 Green Tourmaline earrings. Affordable tourmaline jewellery. 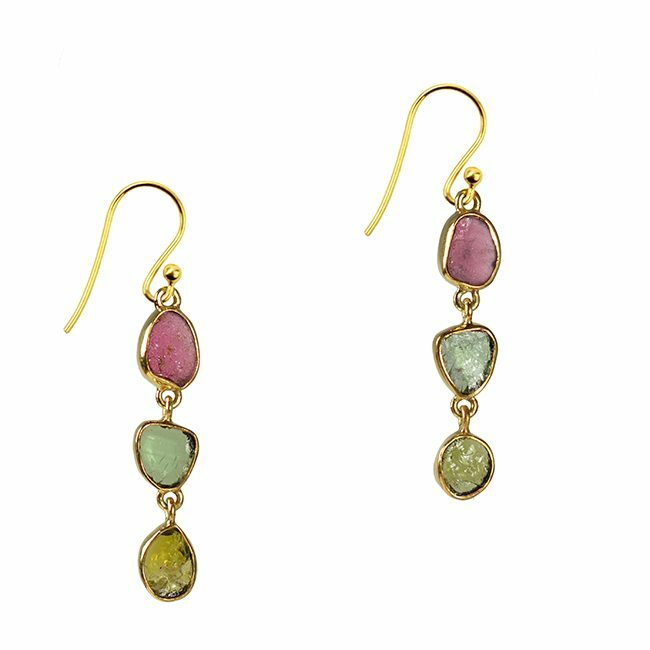 Handmade Tara earrings featuring rose cut Green Tourmaline stones. 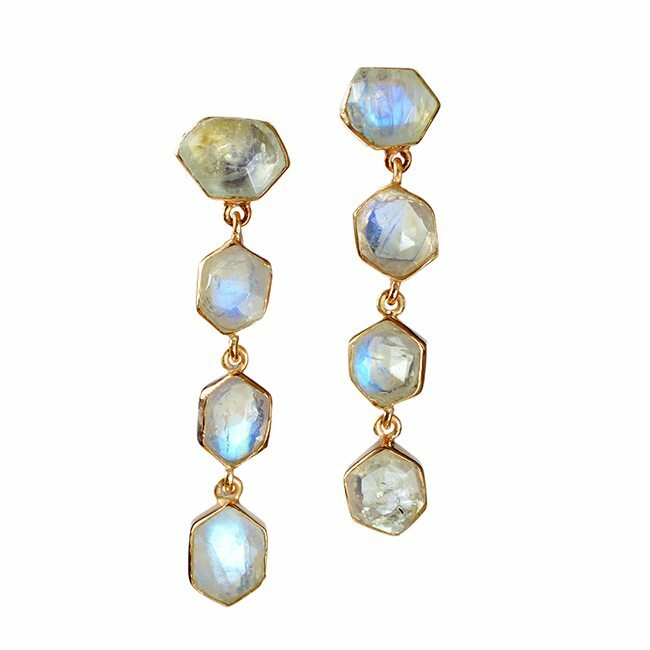 Set in silver with gold vermeil. 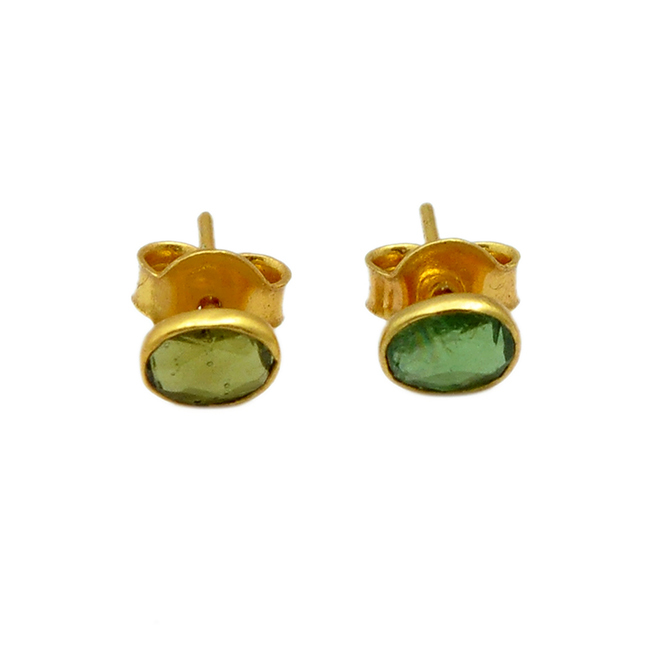 Single Stud Earrings Green Tourmaline Tara. 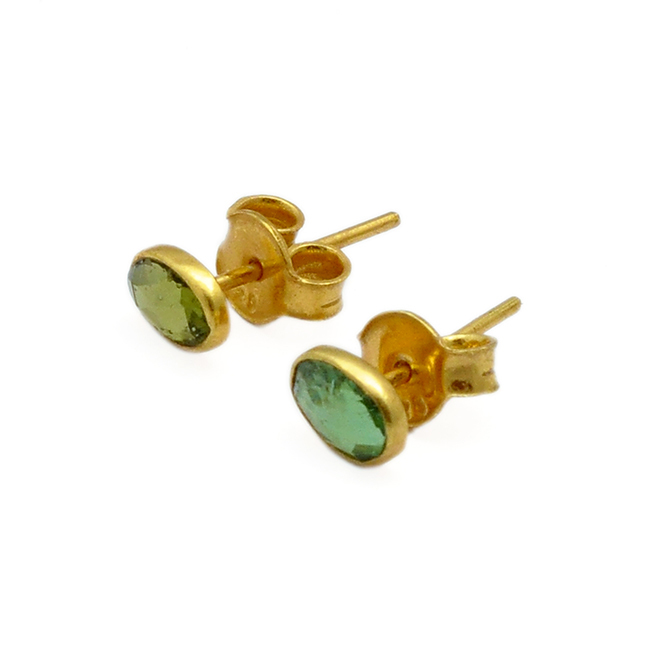 These pretty handmade stud earrings feature rose cut green tourmaline stones. Perfect for everyday wear. 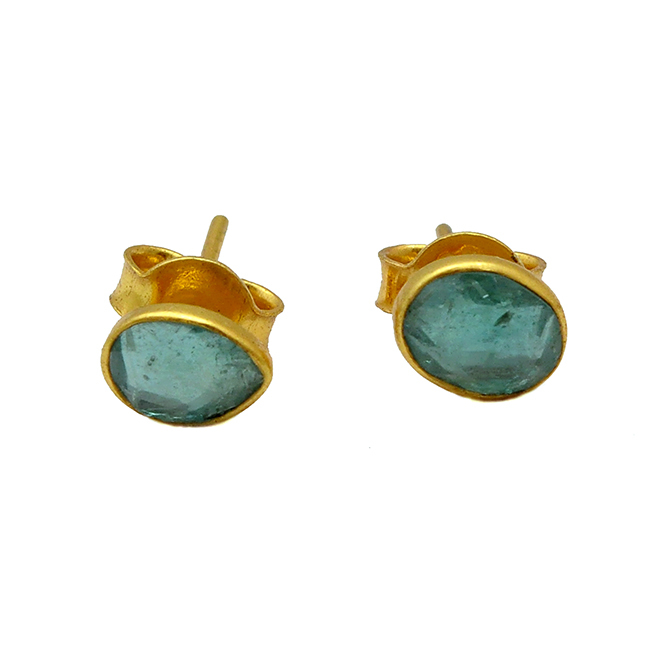 The green tourmalines are set in silver with gold vermeil. 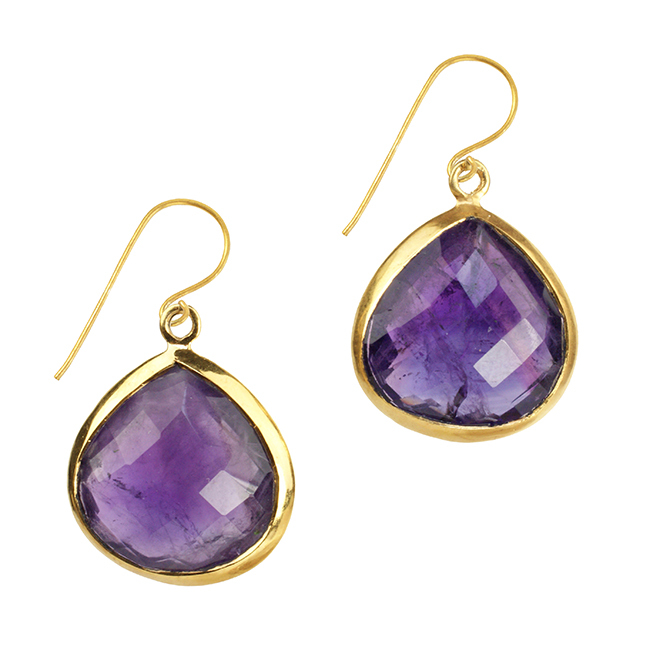 As with all our jewellery, the earrings will be gift wrapped in our branded box and tied with pretty ribbon. 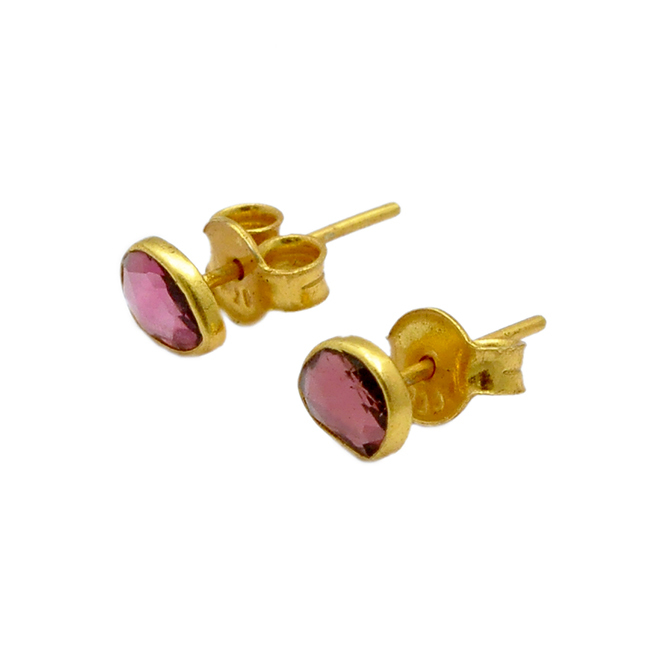 Tourmaline is the birthstone for October and the stone for 8th Anniversary.